Have you guys seen the crazy milkshakes going around lately? It has everything on them...dougnuts, cakes, cookies. You have one of those and you probably don't need to eat for an entire day...maybe a week. There's that much sugar in one of those babies. I haven't had one yet. Am wondering if I should before I miss out. 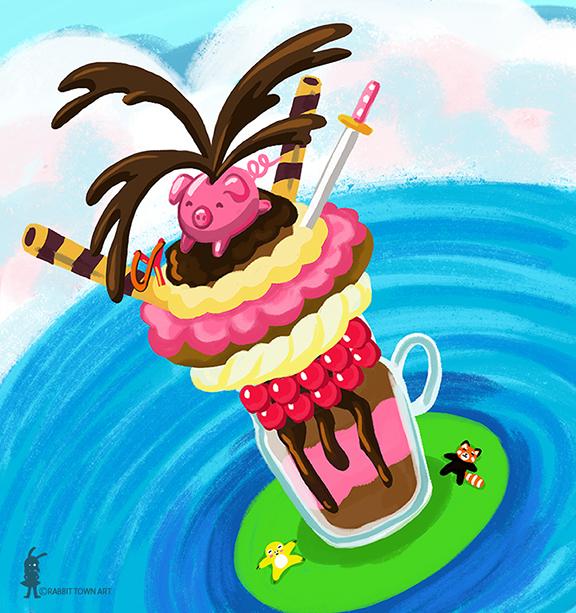 Anyhoo, I decided to draw a milkshake for my last round for this game. Check out the rest of the series here!